Stranger Things is one of the hottest shows on Netflix that’s built a large following and is going to be one of this year’s hottest costume choices for Halloween. The show has an old school look and feel about it. It’s based on the story of Will, who mysteriously disappears. His mother, played by Winona Ryder, begins to communicate with him through the lights in her house. When she tries to tell people that her son is not really dead, people begin to doubt her sanity. From Joyce, to Jonathan to Chief Hopper to Dr. Owens and more, all the characters are well developed. Just when you think you suspect what might happen, the series pulls a twist. The show has a science fiction, supernatural storyline that’s made it one of the most binge-watched shows available today. The popularity of the series has guaranteed that costumes based on the characters from the show are going to fly off the shelves for Halloween. 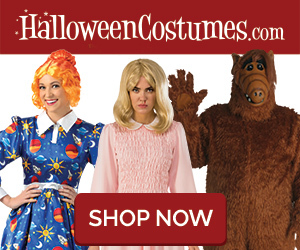 There’s no denying that costumes for Eleven are going to be among the big sellers. The costumes are based on the girl with psychokinetic powers, who at one point lived in the Hawkins National Laboratory. You’ll find her costumes in items like her signature dress and socks or her plaid shirt. You can also find the overalls she wears as a costume. There are some extras that are sold with the different costumes – such as her blonde wig as well as her short wig. You can find costumes for that character in both the child or adult sizes. There are costumes for Joyce as well, who is the character of Will’s mom. This costume is usually a shirt like the one worn on the show. As with the character Eleven costume, you can also get the Joyce wig. The axe used in the show as one of her props can also be purchased. Some people purchase other accessories with the costume such as the Christmas lights. The hairstyles on the show are a nod back in time to when the ‘80s reigned and many of the character costumes consist of a shirt and a wig or just the wig alone. But you can find these for the characters Dustin, Barb and Steve. The Dustin costume comes in both children’s sizes as well as adult size. The police chief on the show, Chief Jim Hopper is one of the staples on the show. At first, it’s clear that he doesn’t believe Joyce about the disappearance of Will, but his character does have a change of heart. You can find his sheriff costume in adult sizes. One of the scarier creatures on the show is the Demogorgon, who lives in the Upside Down world. He was given the name based on a character in a video game by some of the other characters in the show. His costume features the mask as well as the body suit and some of them also contain pieces to cover the hands.